This Asparagus Frittata is a perfect light option for brunch or breakfast. Fresh spring vegetables are sauteed with bacon and then baked with cheesy eggs for a hearty, healthy Asparagus Frittata. When serving a crowd for breakfast, a frittata is the way to go! What makes a Frittata a perfect item to serve for brunch? A frittata can be adapted to use whatever you have on hand. A frittata is gluten-free, perfect for any food allergies or sensitivities. A frittata can be made vegetarian and dairy free as well. I love frittata’s just about any way. But this Asparagus Frittata is a perfect for spring. Crisp tender asparagus and broccoli are sauteed with a bit of bacon for a rich, smokey base. And then baked up with fluffy, creamy eggs, for a delightful gluten-free frittata. Step 1: Saute the veggies. In a large oven safe skillet or cast iron skillet, saute bacon, until crisp tender. Remove bacon from skillet and place on a paper towel lined plate. Drain all but 1/2 tablespoon bacon grease. Add in broccoli, asparagus, and sweet onions. Step 2: Add the eggs. Mix eggs with spices and dairy of choice. Stir in your favorite cheese (or leave cheese out if desired) and pour into skillet. Place frittata into the oven to bake until eggs are set up. If you would like to make this Asparagus Frittata without bacon, use 1/2 tablespoon olive oil instead of bacon fat. If you need this frittata to be vegan, omit bacon, cheese, and use non-dairy milk. It will still be delicious. Use any cheese you like for the frittata, but I love to use sharp Parmesan or tangy Feta, as they both compliment asparagus well. I love the combination of asparagus and broccoli together, but feel free to use all asparagus or all broccoli. Asparagus and broccoli are sauteed with bacon and then baked with eggs for an easy and healthy frittata. Saute the bacon over medium heat in an oven proof skillet to render out the fat. 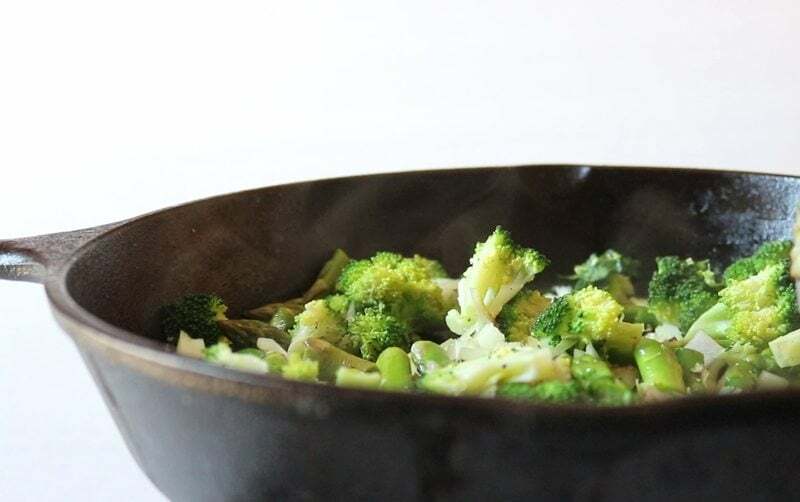 Remove the bacon from the skillet and add the asparagus and broccoli into the rendered fat. Saute for 5 minutes. Whisk together eggs, milk, cheese, and salt and pepper. Add the bacon back into the skillet and then pour the egg mixture over the vegetables. Place the skillet into the oven and bake fro 20 minutes until the eggs are set and the top is browned. If you would like an even crispier crust (as I do) broil for 2-3 minutes. I am also pinning this to my personal GF DF recipe board! 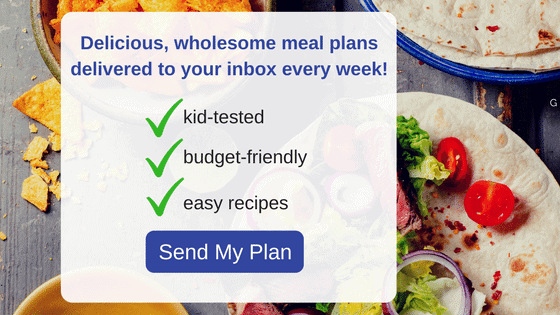 I can totally relate to this, Things like that always happen to me when I have company over, lol… We try to keep all meals easy, unprocessed and still delicious. Yummm! I’ve never made a frittata before but this looks delicious! Pinning to try! 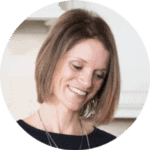 Michelle, a frittata is such an easy dish and great way to use up any leftovers you may have. Give it a try and let me know what you think. I love Frittata and Quiche because they are so versatile. Sorry everyone was sick at your house, hope they are all better. Thanks Miz Helen! Such an honor to be chosen! Love healthy and EASY recipes — this would make a nice light dinner as well! This would be the perfect breakfast for dinner in my book! Love how easy this is to make! Oh yes! I love Brinner, as we call it at my house! I love frittatas – so easy and so good! This one sounds wonderful! Thanks Pam I love them myself! Yes…this dish is so easy you will have plenty of time left for visiting. I’m all for easy and I love a good frittata! Looks yummy! Easy is best and this fits the bill. Now this is the kind of veggie packed awesomeness that could be perfect for breakfast or dinner! I love frittatas. This past weekend, we had brunch at the home of a food writer I admire greatly; she served a frittata close to this one and it was just perfect. There’s nothing better for brunch – or for dinner. With a baguette and a good cup of coffee or tea, I’m set. Laura, I wish I could have been there with you for that frittata–what an honor! We do Frittata Friday, can’t wait try this one! What a great idea! I love Frittata Fridays to clean out the fridge–I may start that myself! There is just something to love about an easy dinner/breakfast that can use WHATEVER you have on hand, isn’t there?! Aww, I hope everyone is well now. This looks like a delicious breakfast!! Thanks Stephanie–It wasn’t bad for a quick breakfast. Frittatas are the best way to stretch leftovers to feed a crowd. Good call! Nothing worse than trying to work with sick hooligans & puppies. Sorry about the allergy shot, that stinks. However this recipe is amazing. 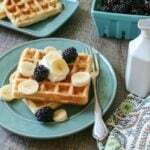 I love breakfast recipes like this one. Plus asparagus & broccoli rule. Well we are better now and a great meal to have on hand. Totally agree breakfast is key to a good day. Hope everyone is on the mend now. 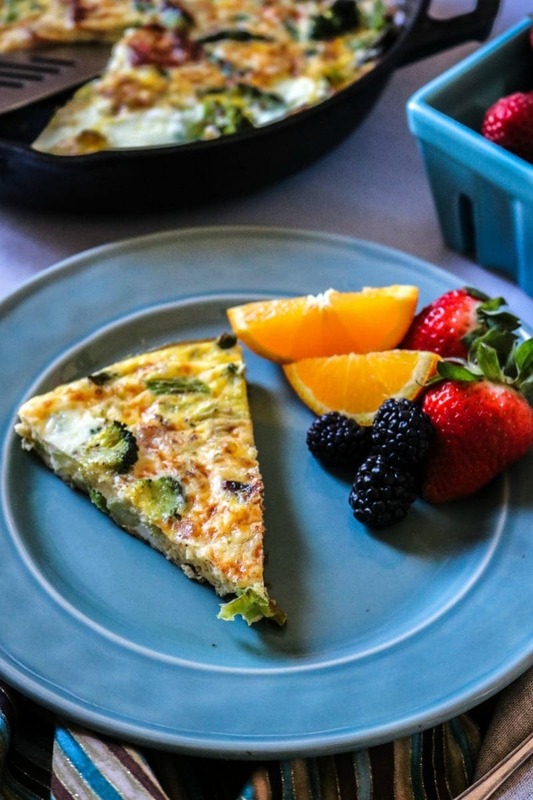 This nutritious and delicious frittata was sure to help them heal. Hope everyone is feeling better, broccoli and asparagus is such an amazing combination, delicious looking frittata. If this is what you throw” together for breakfast, I’m on my way. Looks great. This looks and sounds absolutely amazing! 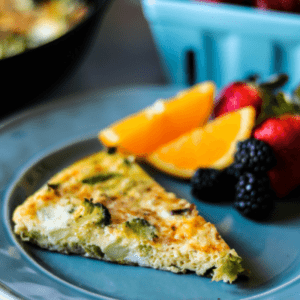 I love a good Frittata and I love the veggies in this! I love frittatas for all the same reasons as you. Hopefully this one got everyone on the road to recovery! I see this for breakfast/brunch next weekend! It looks delish! East meals like this are a lifesaver during those busy weeks. 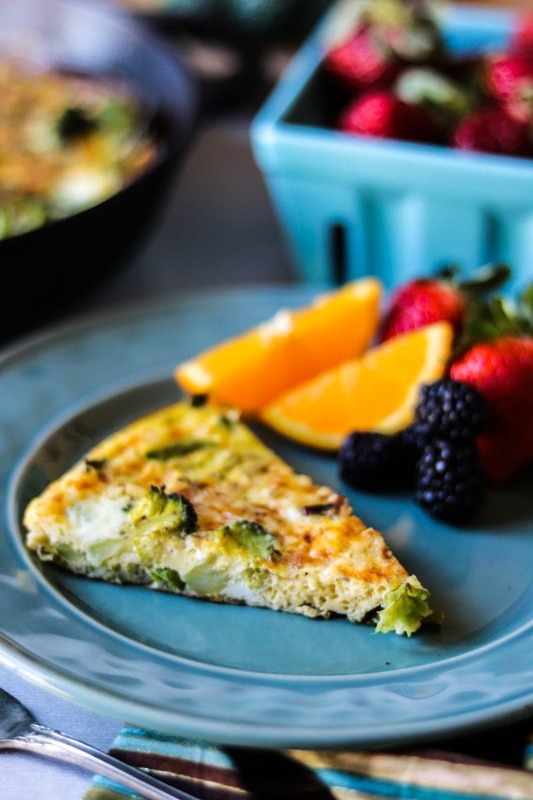 Love all the veggies packed into this yummy frittata! We’d love this for breakfast, lunch and dinner! Easy meals are always my life-saver!